However, if you’ve attended a wedding or five, you’d know that that’s not the case for the guests. 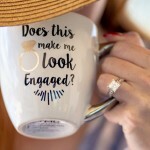 Inevitably, there will be a lot of waiting on their end – before the ceremony, at cocktail hour, for the reception to begin, and in between courses. If your guests are not entertained or occupied at best, the wedding of your dreams may turn out a little draggy for them. 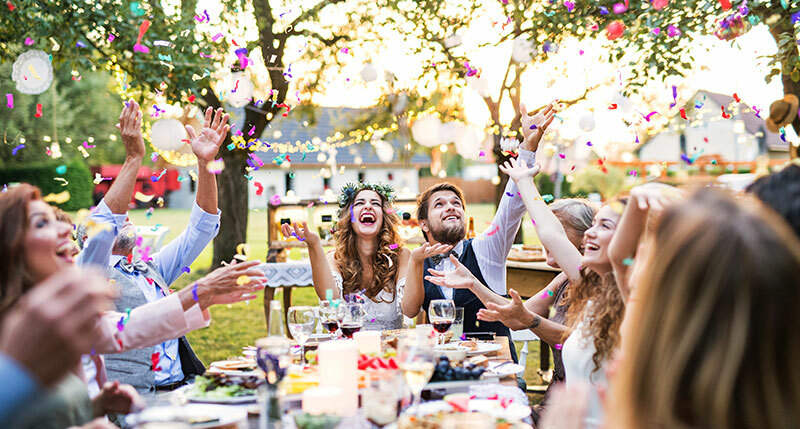 While feeding your guests with quality food and catering is a definite priority, here are more ideas to raise your hosting game and jazz up your wedding itinerary and atmosphere. Hopefully, it will be a wedding experience they’ll remember for years to come! Everyone’s made up, dressed up, and feeling fab! 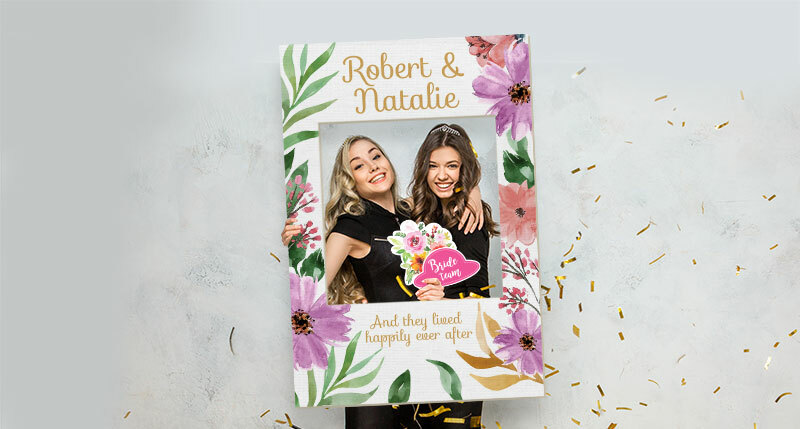 The photo booth is going to be a hot attraction, perfect for guests to let their hair down and have fun in front of the camera. 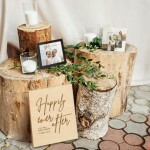 It can be as elaborate as you want it – comprising a beautiful backdrop and furniture pieces for guests to interact with – or it can be kept simple and entertaining with a set of photo props! Our set comes with 2 cut-out frames and 8 parts to pose and play with. 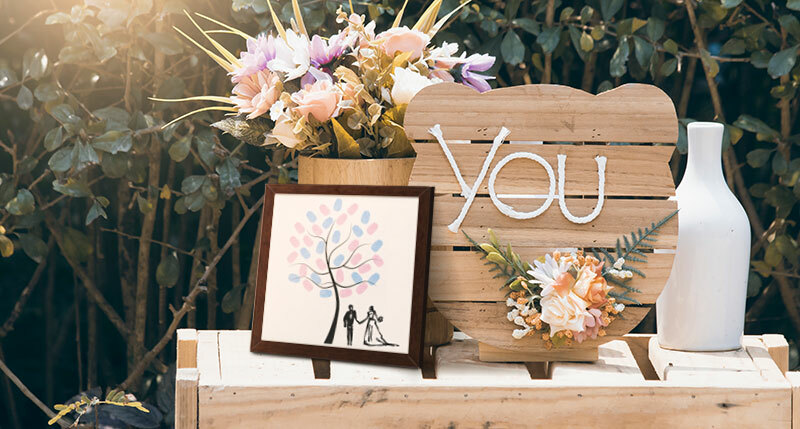 First of all, you cannot go wrong with the classic guest book – ours come with beautifully laid out pages for your photos and ample space for your guests’ messages. Secondly, there are alternatives to conveying well wishes – like making fingerprint art and wishing trees! With our framed prints, you can customise an artwork for your guests to decorate with their fingerprints. Be sure to prepare ink pads and tissue for clean-up! 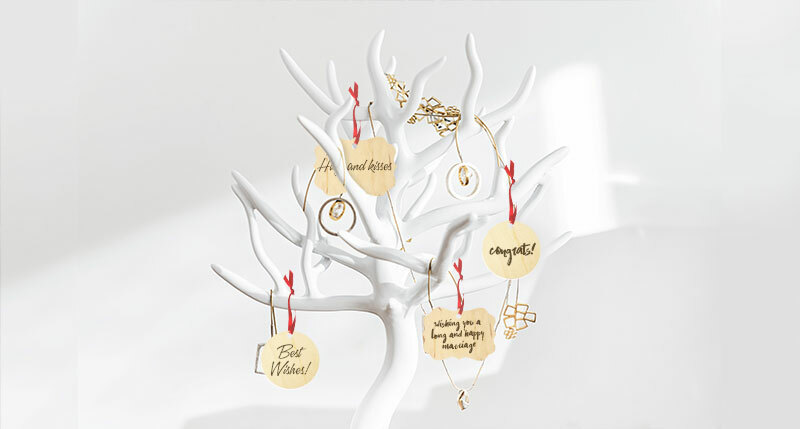 Let your guests jot down their well wishes on our wooden ornaments and hang them on a decorative hanging tree. Take your cocktail session to new heights with artisan foods and handcrafted beverages. A food truck, pop-up cart, or stand-alone bar is not only visually appealing, but it serves some interactivity. Guests can build their own ice-cream with a selection of flavours and toppings, or experiment with cocktail concoctions at the mixology bar – your choice of snack, dessert or drink, really! 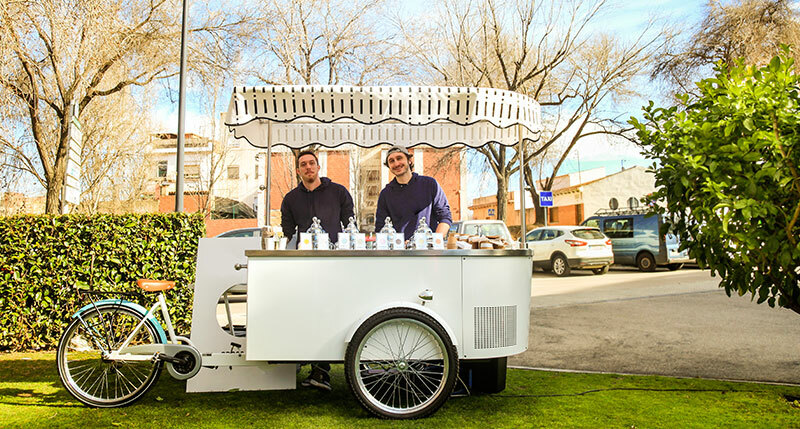 An ice-cream cart is the perfect dessert bar substitute for summer or tropical weddings. To make things interactive, let your guests pick their own flavours and toppings! There’s nothing like a live performance by a professional artist(e) to elevate your event ambiance by leaps and bounds. String quartets, DJs, or jazz bands will do the job of getting your guests in the mood for drinking and dancing, but if you’re looking for something more breathtaking, consider hiring an aerial silk troupe or fire performers. 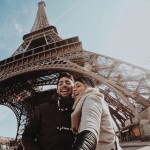 Meanwhile, a caricaturist or magician will be able to deliver a more intimate performance to smaller groups of guests. 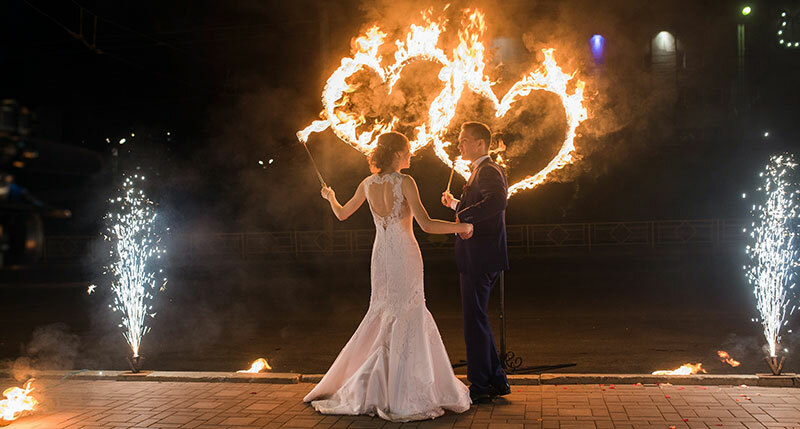 Fireworks or fire performers will give your evening reception a show-stopping scene. Chances are your co-workers will be seated at the same banquet table as your other half’s Dungeons & Dragons gang. When their worlds collide without a formal introduction, let your games start the ball rolling on your behalf. A set of random questions is suffice to comfortably break the ice over the table, or if you’d like all your guests to mingle, a game of bingo works too. 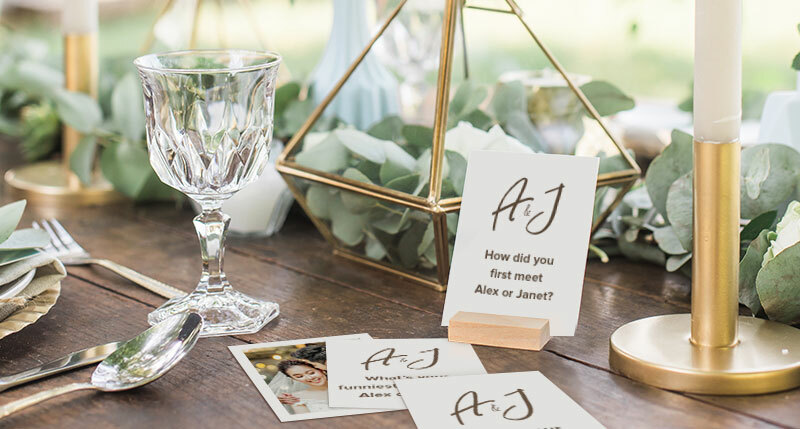 Print a set of questions on our Insta Cards and prop them on the reception table for your guests to get acquainted! Attending an event with children in tow is a feat in itself for most young parents. You’re not obligated to entertain your guests’ juniors of course, but it’s likely that they’ll appreciate your thoughtfulness and hospitality. 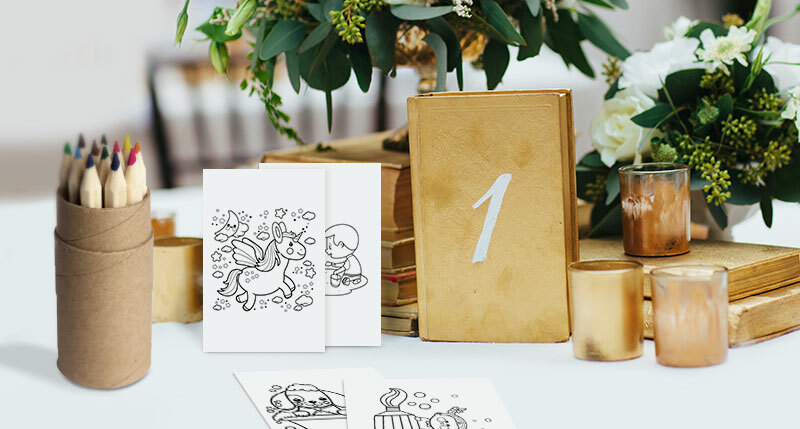 Simple amusements like a table of LEGO bricks, bottles of soap bubble – the little ones can blow them during the wedding exit – or colouring kits will do the trick. Easily make colouring pages out of our Maxi 3.7” x 5.5” Insta Cards and bundle it with some crayons. The kiddos will love them!